We strive to ensure all customers receive the very best service. On this page we are showcasing a few reviews from different sources to highlight our heating and air conditioning work. As always, a review is very appreciated. Our technicians take great pride in their work, and love showing their families customer comments. Please follow the link and review us on Google! Reviews are a great way to show our technicians appreciation for their hard work. We’ve had an issue with power and our AC unit and Mr. Wilson and team have been amazing. They are incredibly professional and honest and hands down the nicest team of people to work with. They are forever on my Christmas list! 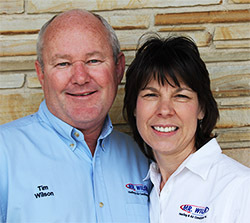 If you are looking for a team you can work with for life, Mr. Wilson’s Heating & AC is it. I have used Mr. Wilson Air Conditioning for over 25 years. I personally have known the owner Tim Wilson for many years before that. He has always be honest and fair in all of his business dealings. His employees follow the same ethics that he does. They are timely and professional with their work and only make repairs when necessary. I would never consider calling anyone else but Mr. Wilson Air Conditioning.